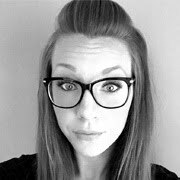 Please join me in welcoming new Design Team Member ... Amy McCabe. 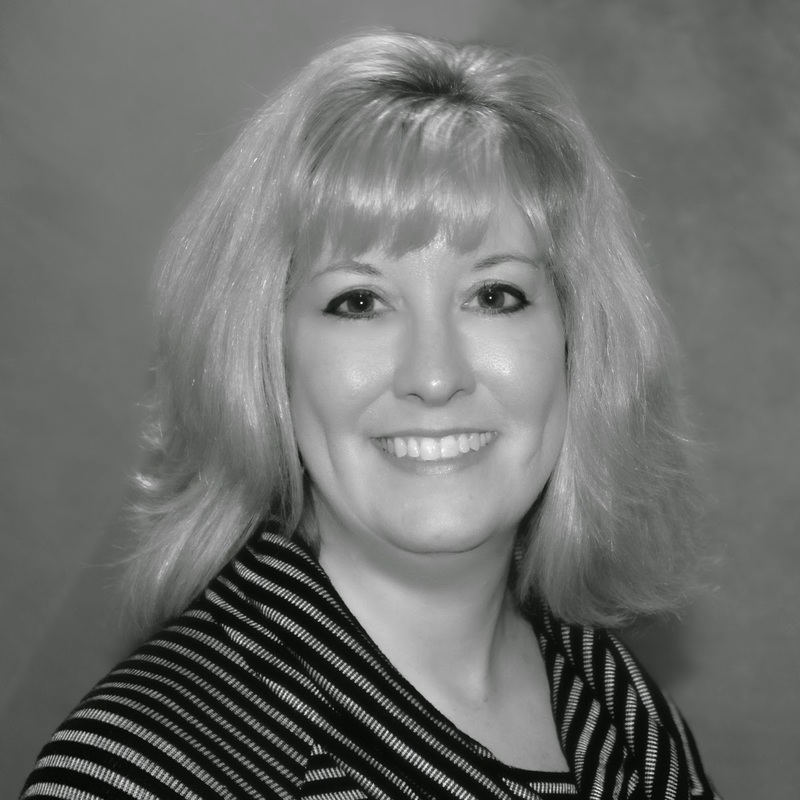 Amy is a scrapbooker and loves to create home decor and 3D Projects. 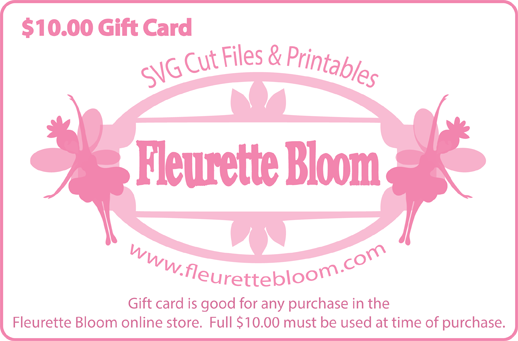 using Fleurette Bloom’s original SVG files, printables and digital papers. 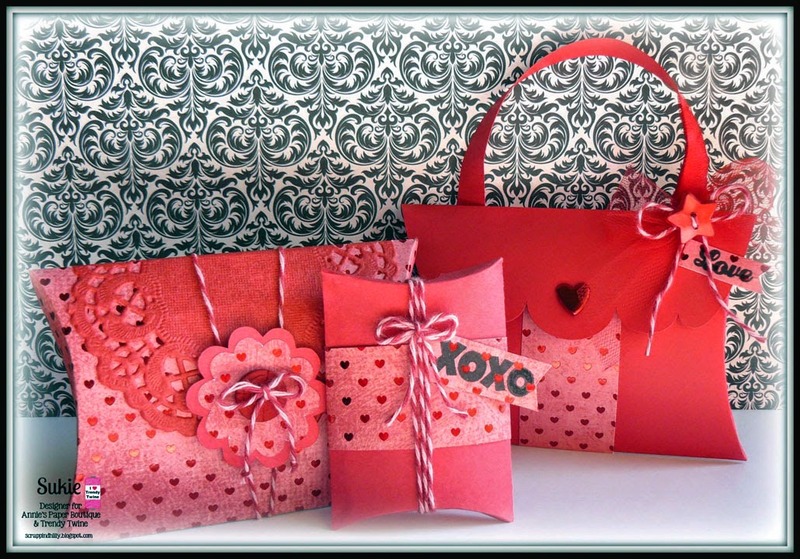 Here is a Valentine Decor project I created using Fleurette’s Dia De Los Muertos 3D Kit. I started out with a 10.25" x 8.5" chalkboard from Walmart. I opened the banner file in my Silhouette Designer Edition. I ungrouped and deleted the border elements. I sized it to fit my chalkboard and cut out of vinyl on my Cameo. 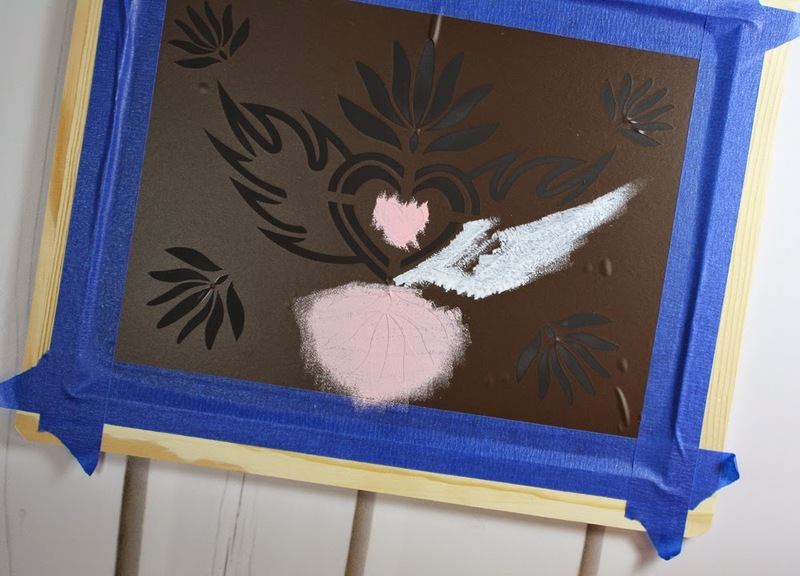 Weed out the areas you want to paint using the Xacto Knife. I transfered to the chalkboard using transfer tape and added blue painters tape to cover up my frame. Paint the exposed areas with the foam brush and use a fine brush for the tight areas. 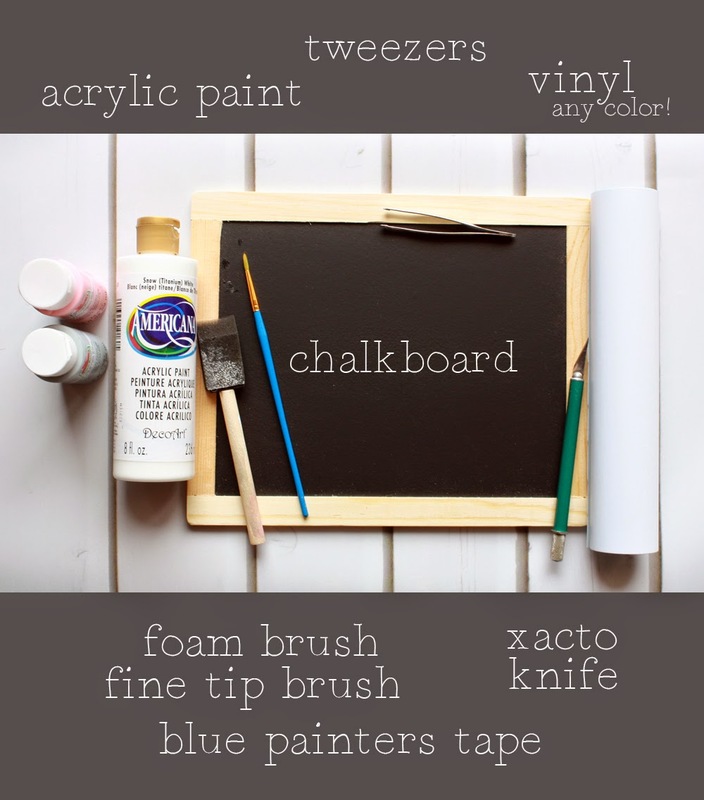 Use a small amount of acrylic paint and dab on for a chalk effect. I painted the frame with a light coat of white acrylic so the wood grain shows through. 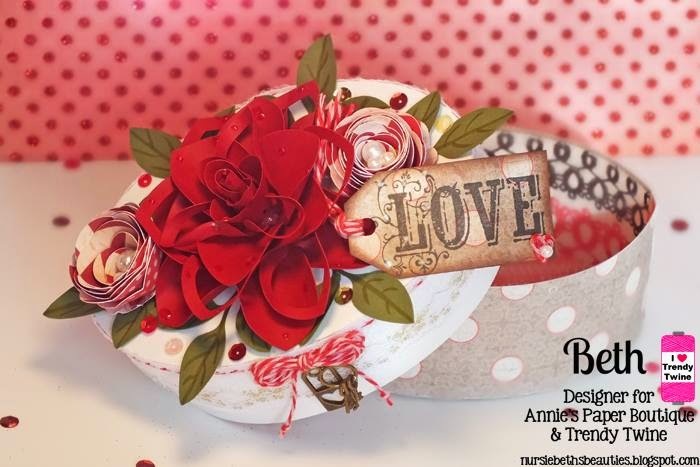 Cut the Small Rosettes from Fleurette Bloom's Lush Flowers 3D SVG Collection. I used the tweezers to hold the end and wrapped the paper to form the rosette. I secured with a glue gun and added colored pearls. I hope you enjoyed my project. I am very excited and honored to be on the team. 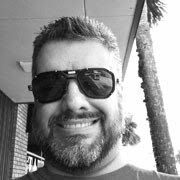 Stop by my blog "Aimitup" for more creative inspiration. I created the pretty tassels using my favorite twine Raspberry Cupcake and Totally Pink Trendy Twine. I also used the twine to string my banner flags, I just love the textured look it adds. Hi, Fleurette here and what a fun week it has been! 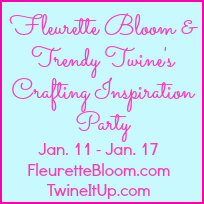 Today is Day 7 of the Fleurette Bloom and Trendy Twine's Inspiration Party! 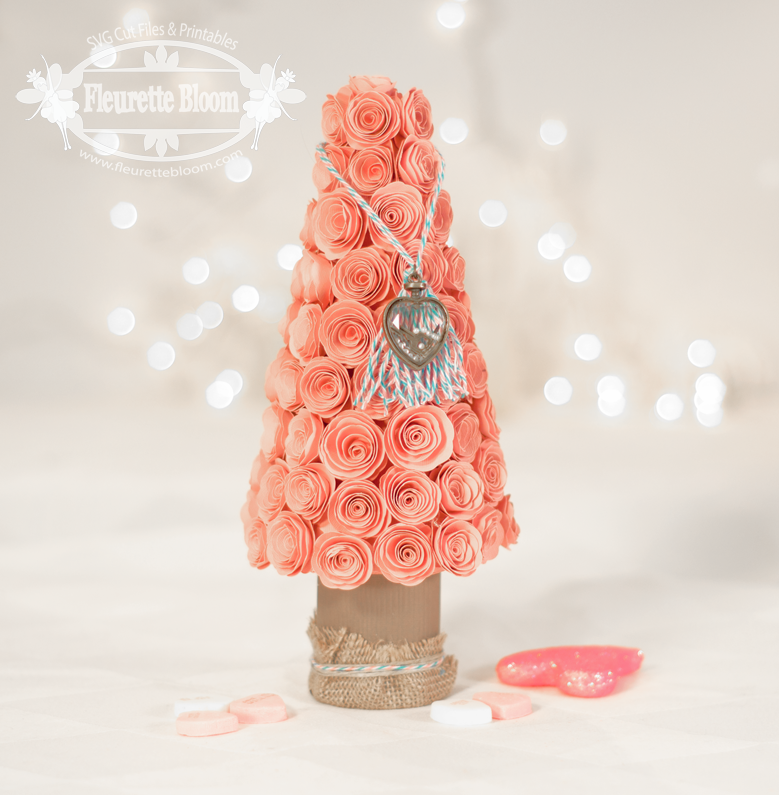 I created this pretty Rose Topiary Tree that also doubles as a gift box, perfect for Valentines Day! You can fill the inside of the trunk with a special gift or candy! To create my tree I used one of my favorite colors of Trendy Twine Bubblegum Taffy. I wrapped a little around the base and then made a tassel to hang near the top, and added a pretty crystal heart to it. I think it adds just the perfect finishing touch. The Tree is from the "Christmas Memories" 3D SVG Kit, I covered it in little spiral roses sized @ 2.7" Wide (16 will fit on one 12x12 piece of card stock) from the "Dia De Los Muertos" 3D SVG Kit, using hot glue. I think it makes an impressive gift. The best part is, it's really quite simple to create. 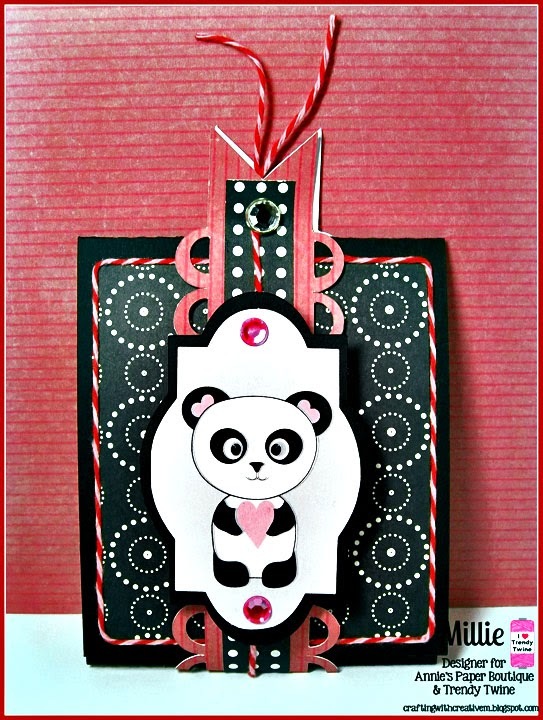 (This project can also be completely created using 8.5"x11" card stock). 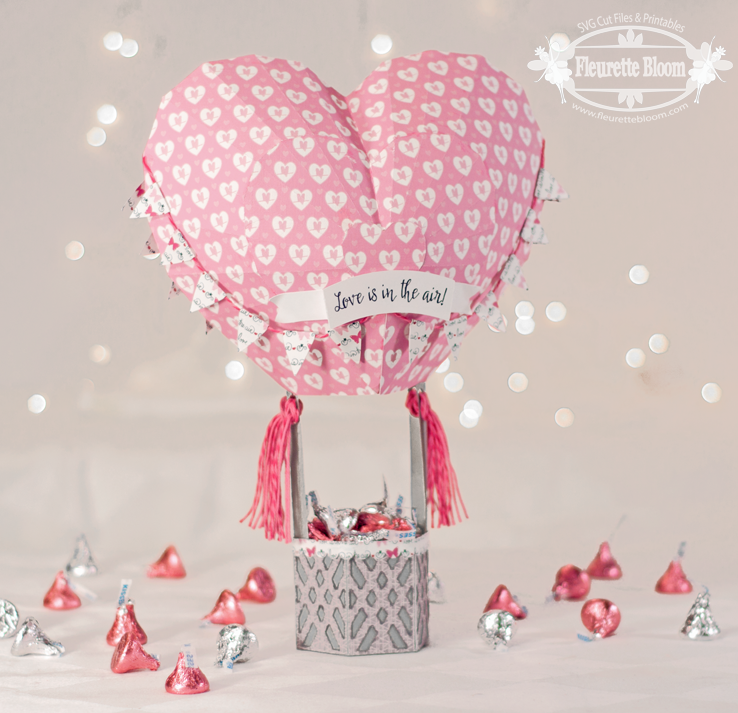 Melissa of Trendy Twine created this beautiful Love Gift! 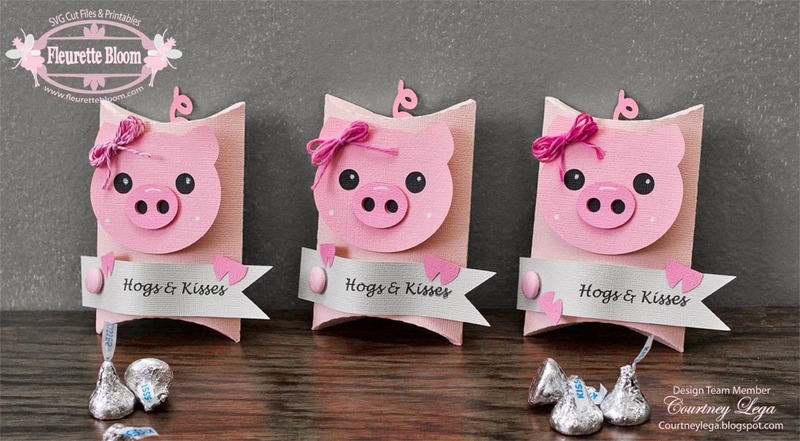 Mille of the Trendy Twine Design Team Created this two adorable projects to share with you. Our crafting inspiration party goes from Sunday, January 11th, through Saturday, January 17th. 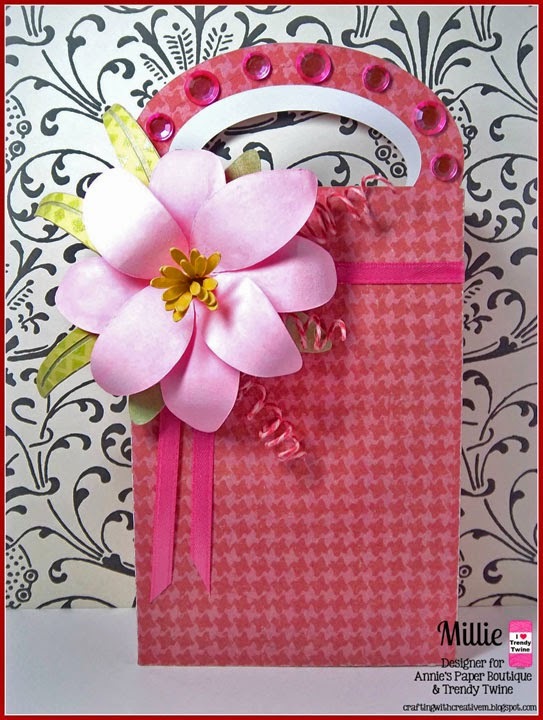 You will need to comment on both the Fleurette Bloom blog and the Trendy Twine blog each day for a chance to be entered. Deadline to enter is 10:00 p.m. Central Time, Sunday, January 18th. You must also be a follower of both blogs to be eligible to win. One person will win both gift certificates. Good luck Everyone! It's Day 6 of of our Crafty Inspiration Party with Trendy Twine! 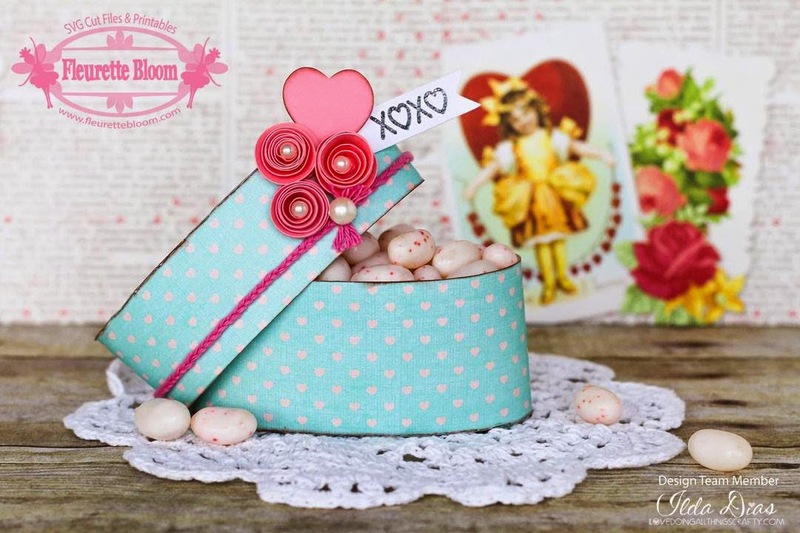 Kimberly has created this adorable Purse Pillow box and card. See all the details over on the Trendy Twine blog! 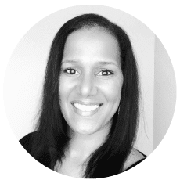 But before you head over there, be sure to scroll down this page and leave a comment to enter to win some blog candy and let Kimberly know how much you lover her project! 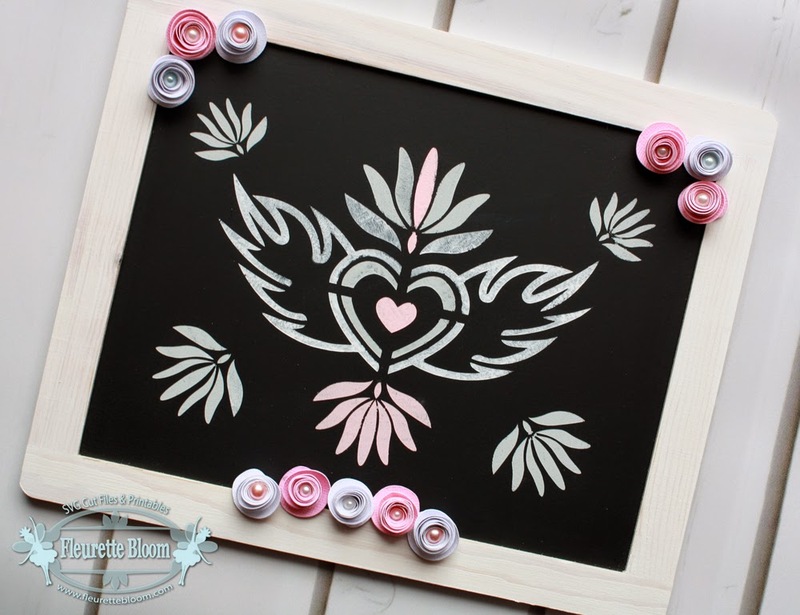 Hello and Welcome to Day 5 of the Fleurette Bloom and Trendy Twine's Inspiration Party! To embellish it even more, I added some pretty twine from Trendy Twine. The colors I used are Pinkberry Sorbet & Raspberry Cupcake. 1 1/4" punch backed by a flower punch. 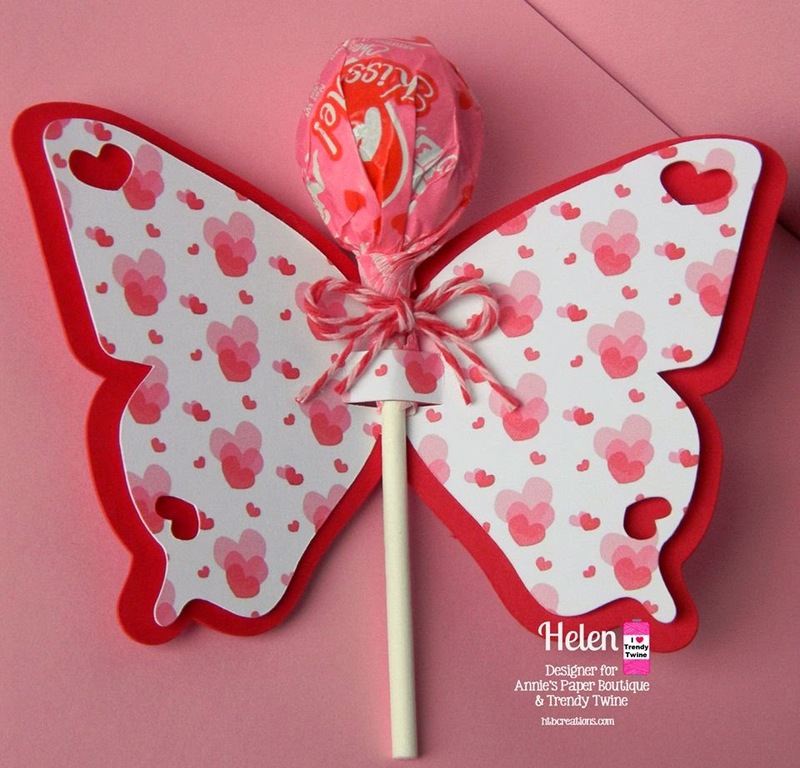 Helen is also on the Trendy Twine Blog today with this super cute Butterfly Lollipop holder! Be sure to head over there too! Hi everyone, Chantel here today to share my project I created especially for Day 4 of the Fleurette Bloom and Trendy Twine's Inspiration Party! 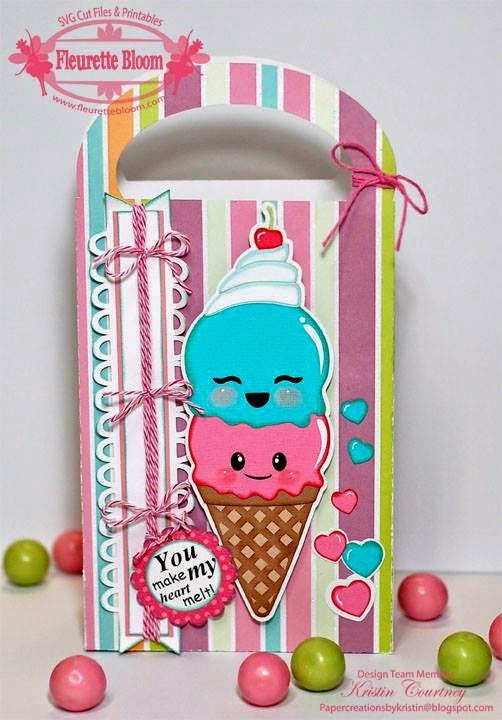 I created this cute treat bucket filled with treats! The perfect gift for someone special this Valentine's day. 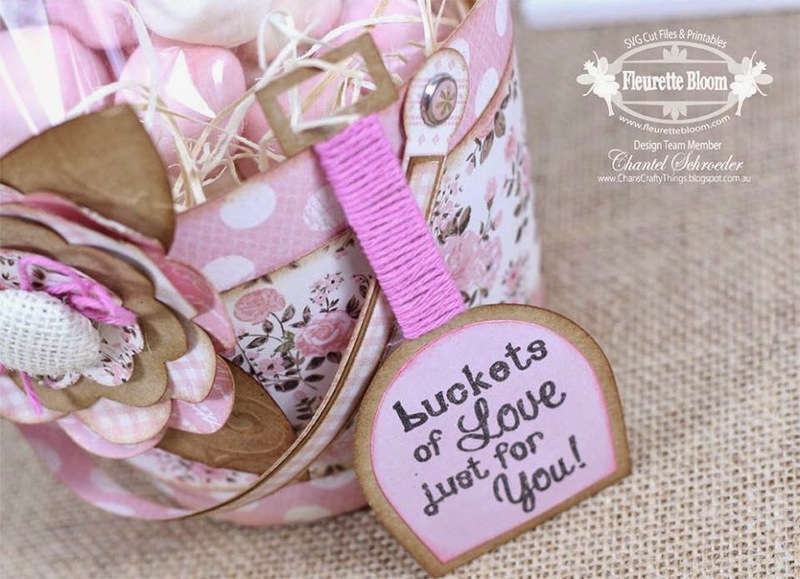 The bucket file is from Fleurette Blooms Beach Bucket 3D SVG Project Kit, It's super easy to put together and I just love how I was able to adapt a beach bucket to a Valentine's theme! I do hope you've enjoyed my project. Remember, Sukie is on the Trendy Twine Blog today with an amazing take on the Anytime Pillow Box Collection so be sure to pop on over there too. 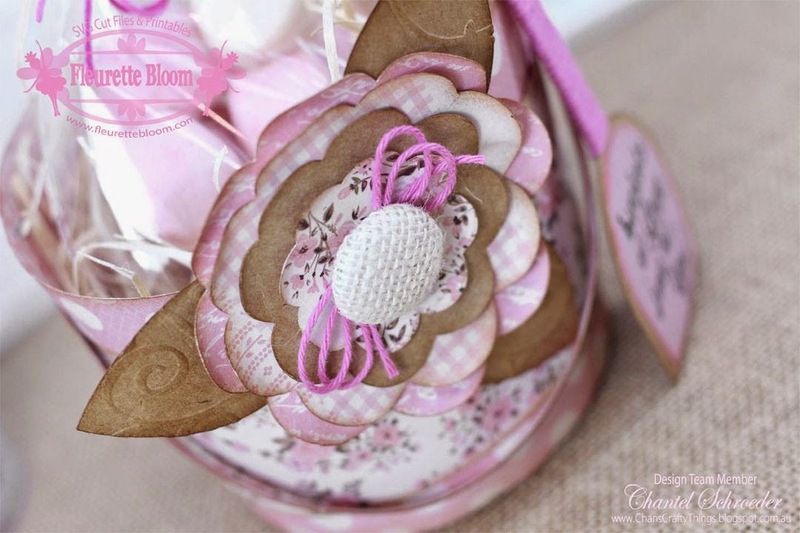 The Cherry Cupcake Trendy Twine just adds that special touch to her project. Hi Guys, Courtney here today with you! 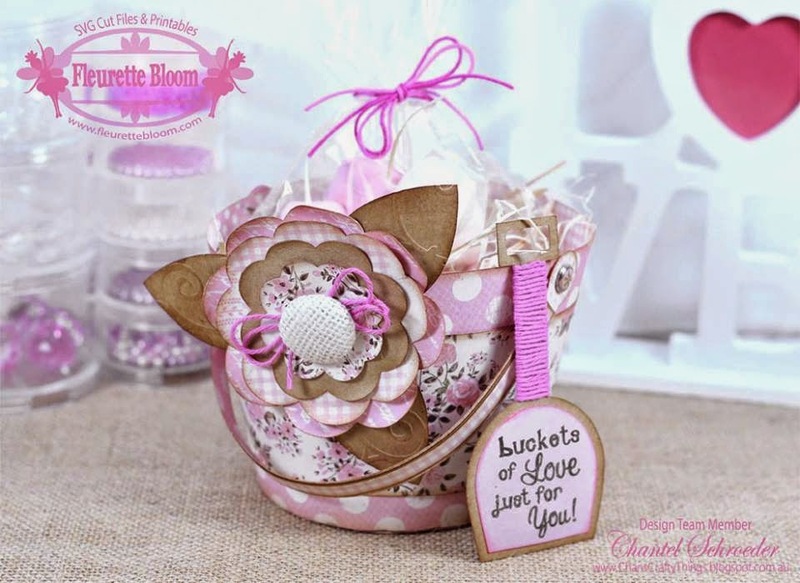 Welcome to Day 3 of the Fleurette Bloom & Trendy Twine Inspiration Party! 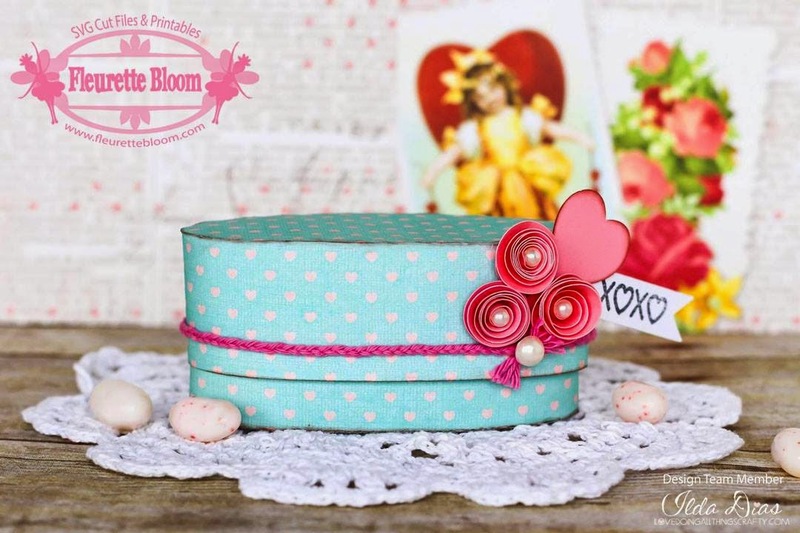 Today I am sharing with you my sweet treat boxes. So cute and easy to put together. The pillow box itself is just one piece, super quick and easy to put together. It's the perfect size for making multiples for any special day! 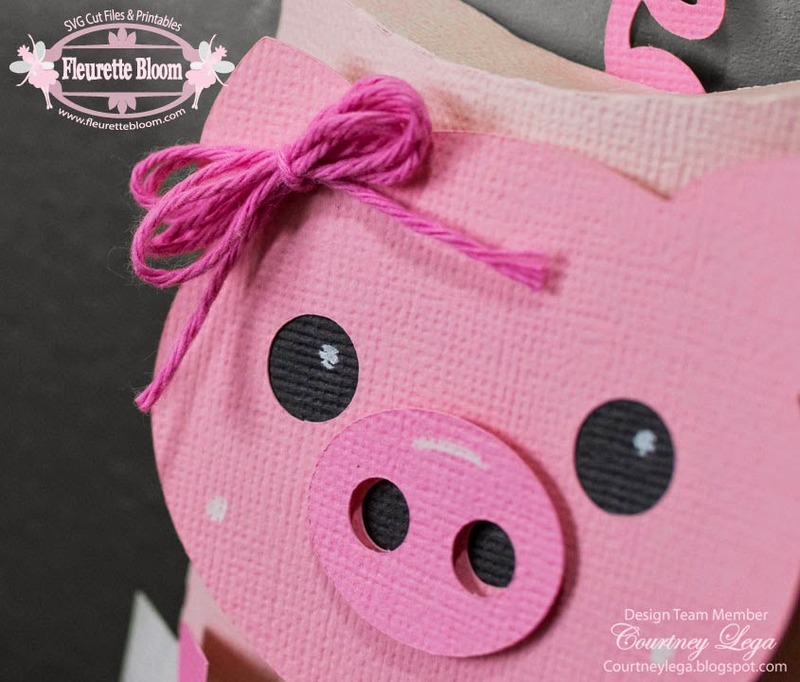 The file for the pillow box comes from Fleurette Blooms Anytime Pillow Box SVG Cutting File Collection, the piggy is from the Animal Cuties SVG Collection. I made the banner using basic shapes from the SIL library, but there is a banner SVG included in the Pillow Box file. Their darling little bows are made with Trendy Twine, Raspberry Cupcake, Pinkberry Sorbet, and Totally Raspberry. 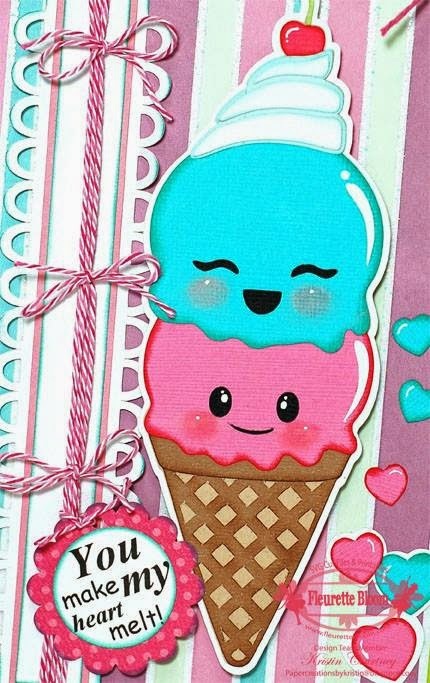 This cute stamp comes from Pink by Design - Country Living. 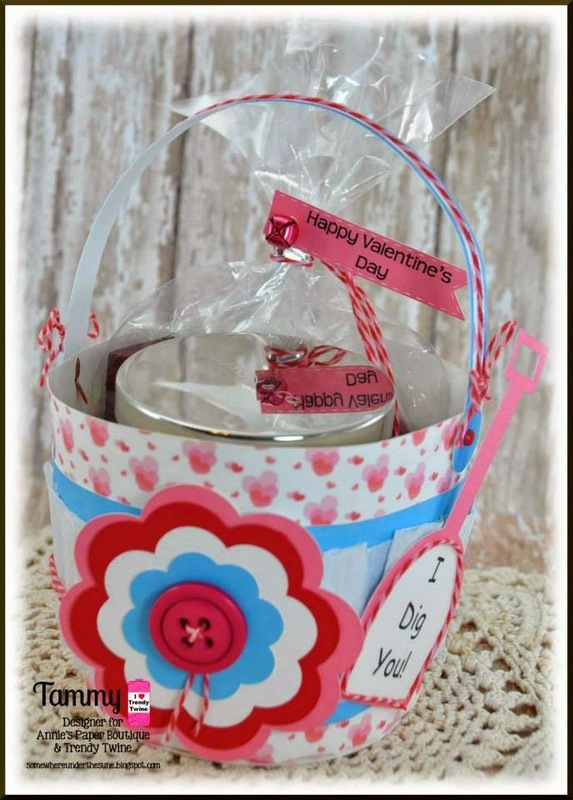 Tammy is on the Trendy Twine Blog today with this super cute "I Dig You" Valentines Bucket. Be sure to pop over there too. Hi Guys, Ilda here today with you! Shelly is on the Trendy Twine Blog with these super cute Valentine Arrow Treats, Be sure to pop on over there too. 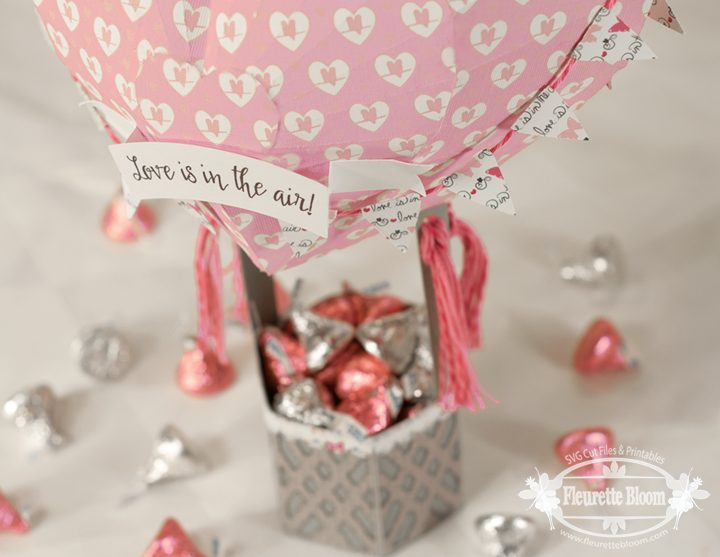 The Valentine Cupcake Trendy Twine is perfect for these Arrow Valentines! 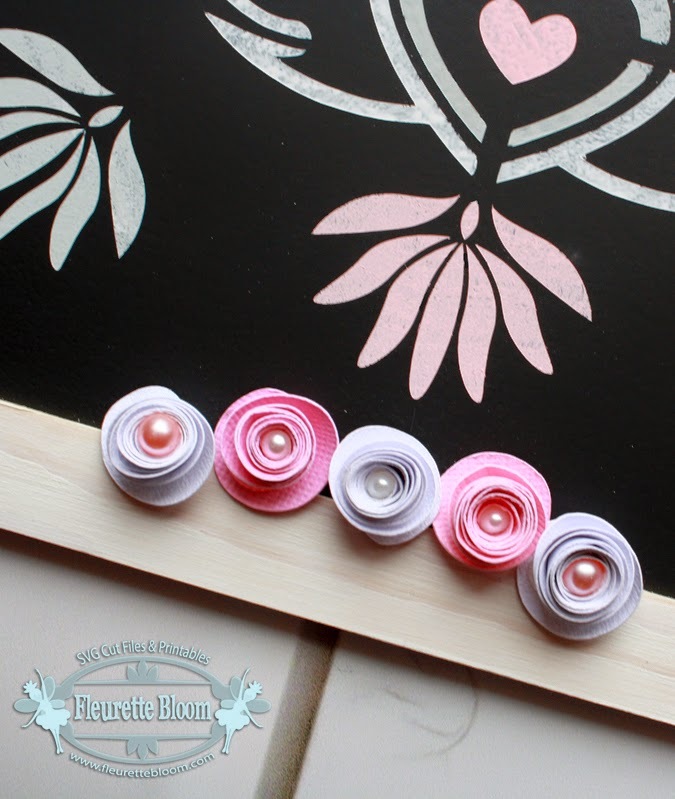 How exciting it's day 1 of the Fleurette Bloom & Trendy Twine Inspiration Party!!! To kick it off we have Beth of the Trendy Twine Design team, who is sharing this beautiful floral Gift Box! See what files and twine Beth used to create this project, plus other details on how you can create one over at Trendy Twine! 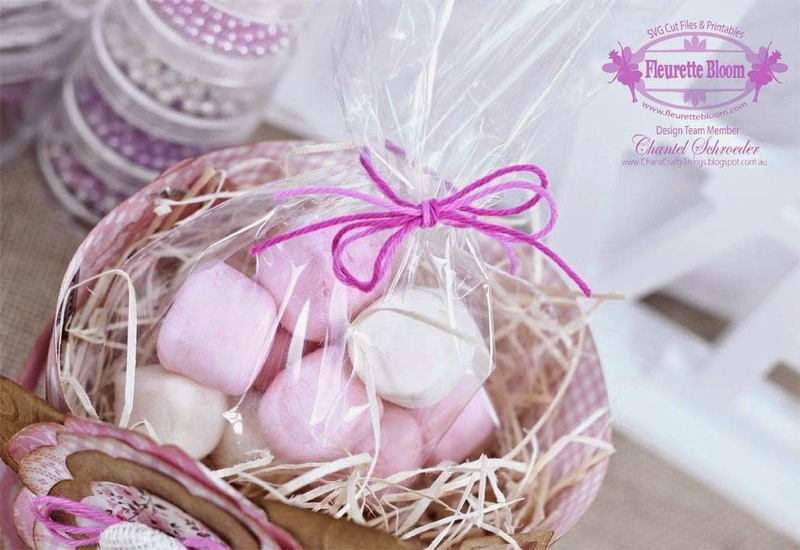 Remember to enter for your chance to win our blog Candy! 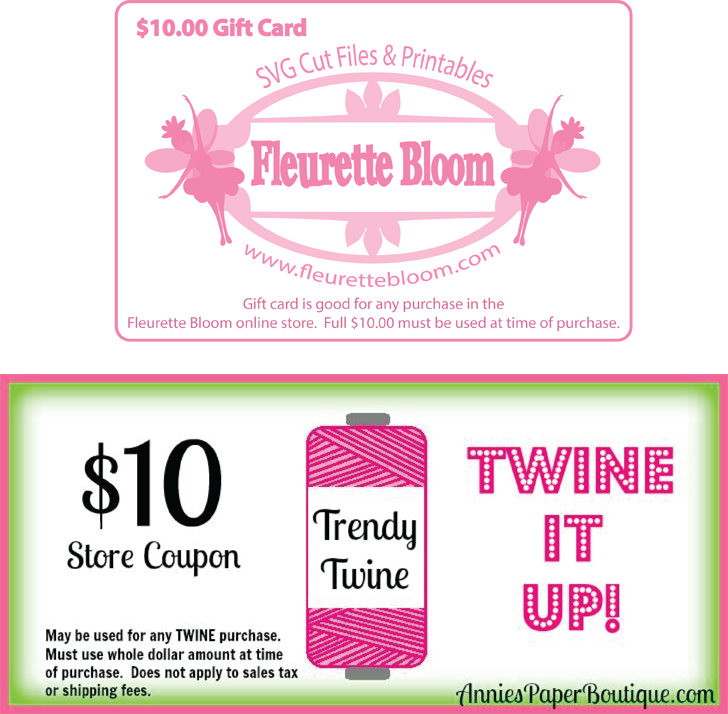 A $10.00 Gift Card to Fleurette Bloom & a $10.00 Gift Coupon to Trendy Twine! Our crafting inspiration party goes from Sunday, January 11th, through Saturday, January 17th. 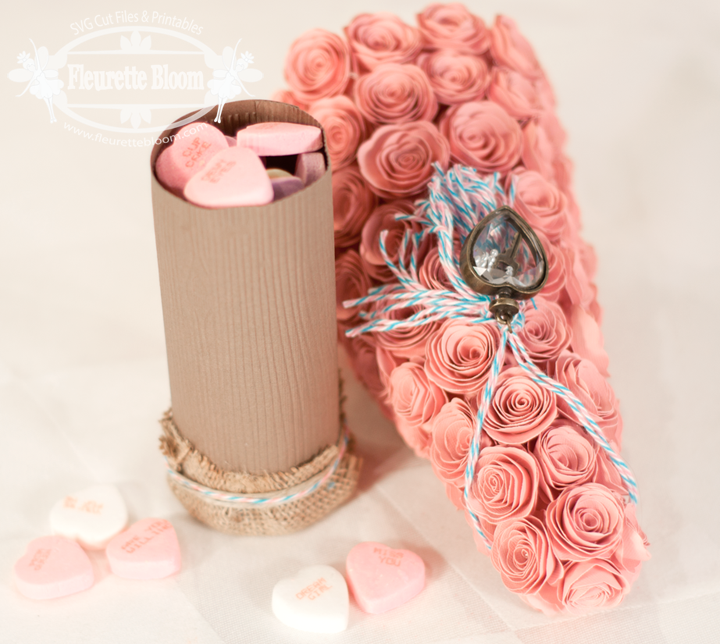 You will need to comment on both the Fleurette Bloom and the Trendy Twine blog each day for a chance to be entered. Deadline to enter is 10:00 p.m. Central Time, Sunday, January 18th. You must also be a follower of both blogs to be eligible to win. One person will win both gift certificates. Good luck and have fun being inspired all week long!